What Does It Mean When A Horse Is Handicapped? If you are interested in EZ Horse Betting you will often hear bettors talking about how a horse is handicapped. This term can actually be used in two different contexts. One of them refers to betting and the other refers to a weight allowance in a certain type of race. To become an expert at picking race horse winners you should become familiar with these terms. What does it mean when a horse is handicapped? Read on for the answer. Let’s begin by talking about what handicapped does not mean. It does not mean that the horse in question suffers from a physical ailment that would prevent it from running in a race. The term used for that would be lame. Usually a horse that is lame will either be given time off from racing or retired at the owner and trainer’s discretion. An example of this was Big Brown, the winner of the 2008 Kentucky Derby and 2008 Preakness Stakes. During his Triple Crown run, Big Brown suffered a tear to his hoof often called “grabbing a quarter.” Steel sutures were put in place to prevent the hoof from getting worse, but Big Brown lost the Belmont Stakes to fall short of the Triple Crown and suffer the first defeat of his career. A second hoof injury forced Big Brown into retirement. To say that a horse is handicapped can mean that the horse has been entered in a handicap race. As a condition of the race the horse will be assigned a weight which may exceed the weight carried by other horses in the race. This is referred to as a handicap, and that is what gives these races their name. When the legendary Seabiscuit made his second attempt to claim the Santa Anita Handicap, the horse was assigned the top weight of 130 pounds. His main rival, Stagehand, would carry just 100 pounds. The weight proved too much to overcome and Stagehand defeated Seabiscuit by just two and one-half inches. A horse is handicapped when it is forced to carry more weight than its rivals in a handicap race. This is done in an effort to level the playing field and make the competition more fair for all the horses that have been entered. The assignment of weight is done by a track handicapper who evaluates the talent of all the horses and then make a somewhat arbitrary decision as to the amount of weight that must be carried. To say that a horse is handicapped in betting has an entirely different meaning. This means that a bettor has evaluated the skills of a particular horse to determine its chances of winning. You will often hear bettors say “I have handicapped” a certain horse. This means that the bettor has used the past performances to make a determination on whether or not the horse merits a bet. When you sign up for your account with one of our recommended online racebooks, you will need to develop your handicapping skills. This means taking the time to study the past performances of a race. You will need to learn the importance of speed, pace, breeding, and many other factors. The more you learn about the betting process, the more effective you will be when it comes to picking winners. 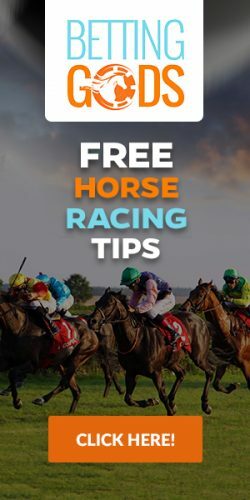 EZ Horse Betting has many useful articles on handicapping that will help you out. Something you need to understand is that handicapping is not an exact science. It involves analyzing data in order to make an educated guess. When you bet on a horse to win a race you are taking a calculated risk. If you have not handicapped a horse, you are just guessing as to its ability. How fast can the horse run? Is the horse fast enough to win today? Does the horse like to run on the lead or off the pace? Does the horse’s running style improve his chances to win? Does the horse’s breeding improve his chances to win? Has the horse ever competed on this type of surface before? There are many more questions that you may need to answer in order to arrive at a solid betting decision. The questions you ask are dependent upon your personal handicapping method. Remember, your method for picking winners in a race does not have to be the same as someone else. Handicapping is an intellectual exercise. No two people go about the process in the same way. If you would like to practice your handicapping skills, the best way to do that is to create an account with one of our recommended online racebooks. You can sign up in just a few minutes and bet right from the comfort of your own home on your PC, phone, or tablet.